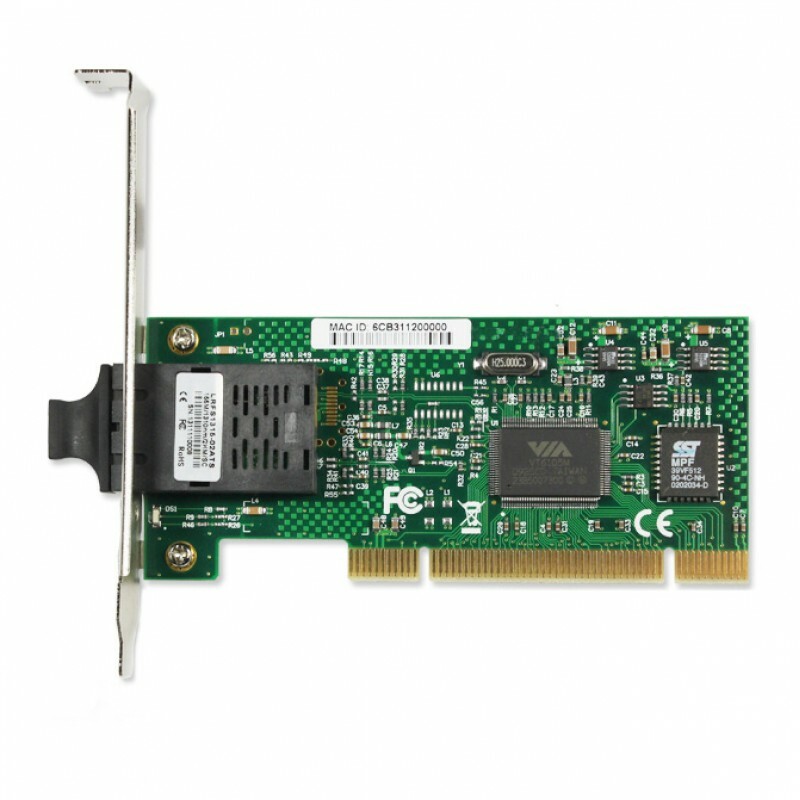 NIC-7020PF-LX is a 100Mbps managed PCI bus fiber optic NIC card. The NIC-7020PF-LX fiber optic NIC card can supply reliable fiber optic connections for users when surf the fast ethernet internet , particularly it is suitable access the distance beyond the five lines access distance (100m) of the place.It can completely replace the ethernet card external photoelectric conversion of the network structure of the commonly used RJ-45, to provide users with reliable fiber-to-the-home and fiber-to-desktop solutions. Users can select the optical interface parameters (including connectors, single / multi-mode fiber, working distance) according to the distance.